The nature of intelligence work means that it is often difficult to find information about career options, identify job opportunities, and meet colleagues and mentors in the field. Moreover, the hurdle of acquiring a security clearance can make it difficult to secure one’s first job in the field. 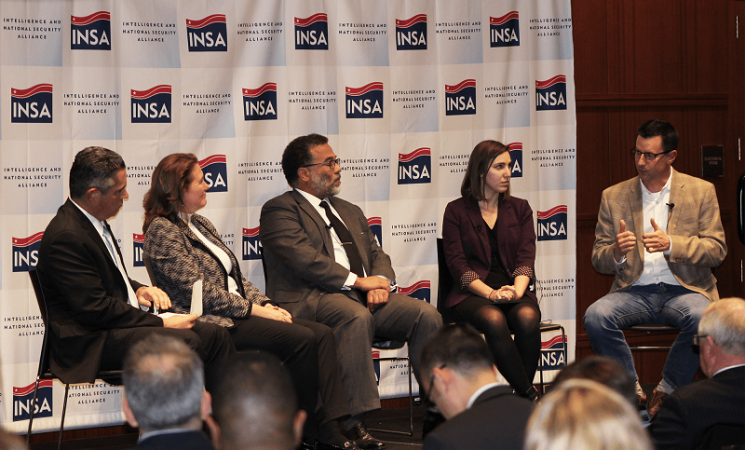 INSA’s Intelligence Champions Council (ICC) strives to enhance the ability of the Intelligence Community (IC), including its partners in industry and academia, to accomplish their missions by advising, mentoring, advocating for, and fostering dialogue among individuals across organizations and experience levels who are interested or engaged in intelligence-related careers. Through panel discussions and mentoring events, the Council facilitates informal learning for members of the intelligence and national security workforce and helps them build positive relationships, discover professional mentors, and gain an appreciation for other perspectives within the community. Promote intelligence-related careers among students, recent graduates, and young professionals regardless of experience, employer, or sector. Educate individuals exploring intelligence-related career paths about the range of ways one can work on intelligence issues in government, industry, and academia. 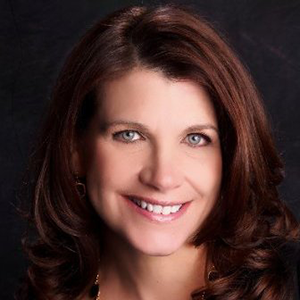 Foster dialogue and encourage professional networks (including peer networks) across organizational boundaries and between experienced intelligence professionals, junior intelligence professionals, and those who are seeking entry into the field. Advocate to external audiences for the Intelligence Community (IC) and its partners in industry and academia to assist them in attracting and retaining a highly skilled and talented workforce. Promote non-traditional intelligence skills and career paths as a means of highlighting the breadth of the IC’s work and attracting individuals with unique skill sets to the intelligence field. Promote a diversity of personal backgrounds and experience in the intelligence workforce. Recognize outstanding contributions of young intelligence professionals. Promote INSA as a thought leader in the intelligence field. 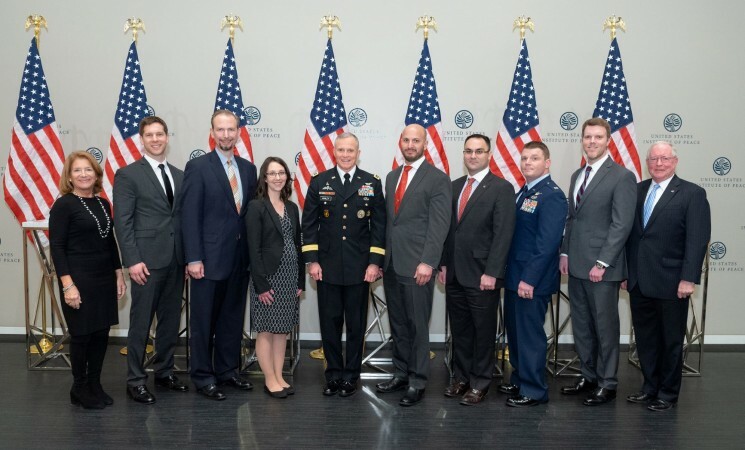 INSA held its eighth annual Achievement Awards ceremony on February 22, 2018, at the United States Institute of Peace. 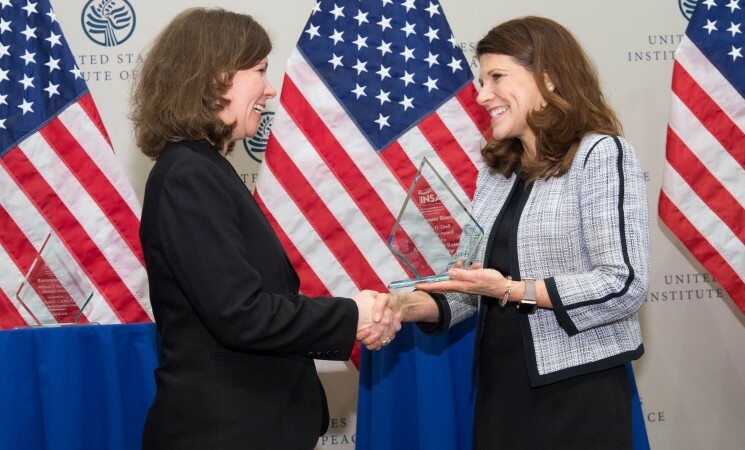 More than 220 INSA members and guests helped recognize recipients for exceptional leadership, mentorship, and outstanding contributions to U.S. intelligence, national security, or homeland security.